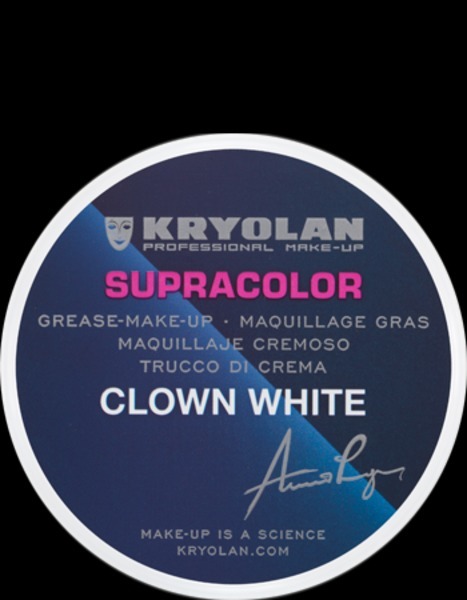 Supracolor Clown White is a cream make-up preparation that has proven widely successful for decades. Work of theatrical professional make-up artists would be practically unthinkable without Supracolor Clown White. This preparation is well known for its outstanding covering qualities, its color brilliance, and its excellent skin compatibility. 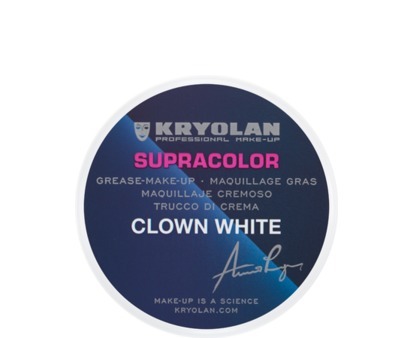 Supracolor Clown White is ideal to be used for theatrical make-up designs and also carnival. Supracolor Clown White differs from the conventional Supracolor especially through specially used ingredients that make the product appear more supple.